Lost Cowboy’s hankering for a good bourbon is well known. However, it is mote about taste than anything else and most certainly not about smell. Although I live to sniff a nice glass of bourbon before taking a sip. 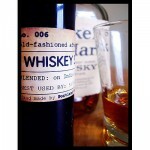 Anyway, I was intrigue by a recent find… I was looking around the website of Rare Device, a San Francisco- based shop and I spotted “Whiskey Natural Aftershave Splash” and was very interested in find out more. I will have to explore this more, but I really like the packaging and it just may be a great gift for that certain someone in your life. However, I am not sure quite yet, we have all been in a elevator with someone who smelled like they “drank their lunch” and I am not sure we want to join that club. See this and other cool things at Rare Device. …this means that the items displayed are mostly beyond our means, but there is no reason we can’t look. 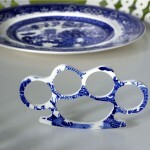 Paging around 1stdibs.com is a lot of fun. The site features items from various dealers which you can search through or sort by location or theme. 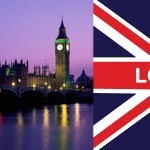 For location, I like looking at London (of course) and for theme I love “English Country House” (duh!). If you are like me, after spending a few minutes on this great site you will wish you had all the resources in the world to fill a home (or two) with some of these things. 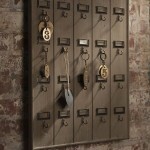 Check out 1stdibs.com and be inspired. I know nothing about this book, but it has one of the best titles I’ve seen in a long time: “Knit Your Own Dog” by Sally Muir and Joanna Osborne. 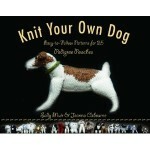 If you can indeed knit a dog from following the patterns in this book then I am giving it my full endorsement. I really want a dog, but feel that my current lifestyle would not be the best for one, so for now I am sticking to cats only. However, this means that I tend to over compensate by surrounding myself with photographs of dogs, dog calendars, stuffed dogs, little statues of dogs on the mantle, etc. – you get the idea. Now I might have to learn to knit so I can add to my collection. My sister-in-law is a knitter. Do you think she would get the hint if I gave her this book for her birthday with a the Border Collie page marked off? Every now and then we come across the work of someone that charms and inspires us. Such is the case with Juliet Ames’ website and shop – The Broken Plate Pendant Co. and (I Break Plates.com). Not only are Ms. Ames’ creations interesting and truly works or art, her whole sensibility and back-story is just the type of thing we love. The Broken Plate Pendant Co. shop features traditional jewelry crafted from broken china like earrings and cufflinks, but there are some great original ideas, like China Knuckles. Check out I Break Plates.com here. Anyway, I was inspired to write about music today, based on having gone to a great concert last night. But before I sat down to write, I did a little research to see just how many music postings I have done over the past 18 months or so. Well, the answer is: a grand total of ONE. Unless I did some postings about music that were mis-labeled, I have written just once with a recommendation on a musical artist. That was in October 2009, shortly after Lost Cowboy started, and the artist that I wrote about at the time was singer-songer David Gray. Fast forward to last night, when I was sitting in Boston ’s Wang Center enjoying a concert with Sophie and her mum, thinking, I really need to talk about this artist on Lost Cowboy. The artist? Wouldn’t you know… Mr. David Gray. So I guess I really like this guy. Thanks to Sophie, we had great seats – the front row of the mezzanine of the glorious Want Theatre. I had purchased tickets myself to surprise Sophie, as I knew she would be in town, but she surprised me with tickets inviting me to join her and her mother. I tried to sell my tickets, but a couple of leads fell through and I ultimately forgot about them. But I had the tickets in my wallet last night – and they were really good seats on the floor. While waiting for Mr. Gray to go on, Sophie asked me whatever happened to my tickets and I said “nothing” but I had them with me. Then we came up with a plan to “pay it forward” by going all the way up to the top of the balcony to surprise people with an upgrade. So I dispatched Sophie and made the evening of a young couple who had the worst possible seats. I digress. But here’s the deal… Check out David Gray – he is very talented singer-songer for our time, and he is much more than the one or two songs you may know by him. See more about David Gray and watch and listen to video clips on his website. Be sure launch the music player to check out “Full Steam” – Mr. Gray’s collaboration with the magnificient Annie Lennox. Sublime. Somewhere in my mother’s collection of stuff (which I am still sorting through) she has a Spiro Agnew novelty watch from the 70’s. Don’t ask how I know or remember that, but I look forward to finding it. Or course, when I do, you’ll read about it here. Richard Nixon may have been the only US President to resign in disgrace, but his namesake watch company makes really cool watches. 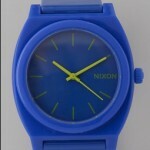 We found this really great watch (and others by Nixon) on ShopBop.com. Check out all the watches on ShopBop. OK, I know I have been on a food kick lately, but there are just so many cool products out there. I have always wanted to make and can my own chutneys and jams, and I think I will be trying that this year. 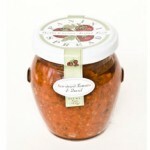 In the meantime I am totally obsessed with fine food products, like those offered by Bella Cucina Artful Food. Sounds like the perfect philosophy for Lost Cowboy. Bella Cucina Artful Food offers many fine products from, and inspired by, Italy. They offer all sorts of things from oils and vinegars, to pasta and pizza sauces, to pestos and some really amazing sounding Panini spreads. Check out Bella Cucina Artful Food here. Sad to say, your intrepid Lost Cowboy does not have a Valentine this year. It’s a long story but he hasn’t had a date in something like 10 years – but that is another story. But today is Valentine’s Day and there are many ways to share the love. One of the coolest ways to say I love you is by placing “I love you cards” at random places around town. Leaving little love notes in you lover’s things so he or she finds them throughout the day is cool. But I Love You Cards.org has made it easy to leave notes of cheers wherever and whenever you want to surprise and delight perfect stranger who may find them. I Love You Cards is not a Valentine’s Day-only effort – it is encourages you to spread love and joy every day of the year. The I Love You Cards .org website provides you the opportunity to order a batch of 20 I Love You Cards for a nominal shipping fee and encourages you to share your pictures and stories about where you place the cards. I love this idea and totally support it. So let order some I Love You Cards and start spreading the love. Ok, here is a website you are going to fall in love with. If you are reading this then you likely share the Lost Cowboy sensibility and the website Mothology just oozes with what we love. Just check out the “What’s New” page and scroll through the items and you will know exactly what I am talking about. Check out Mothology, you will love it. I love art. Not all art, but the kind I like. You know what I mean. I love the creative arts and appreciate the talent that so many fine artists have. I love browsing galleries and poster stores and websites looking at graphic arts. I recently came across the McGaw Graphics website and loved poking around looking at a really fine collections presented here. 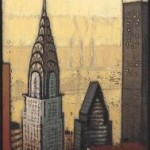 I particularly love cityscapes, especially images of New York City and I was pleased to find a nice collection presented by McGaw Graphics. I am planning my semi-annual trip to New York in a couple of weeks, and seeing images like “Golden Chrysler” by artist Timothy Craig is really getting me excited. But there is so many great images on the McGaw Graphics website I am sure you will spend a ton of time looking around – check it out. Lost Cowboy is powered by	WordPress 5.0.4 and delivered to you in 1.013 seconds using 66 queries.